Are you ready for a new nightmare from the mind of Ari Aster? The writer and director broke out with last year's most terrifying movie, Hereditary, and now we have our first look at his next project, the ominously titled Midsommar. The first trailer introduces us to the young couple played by Florence Pugh and Jack Reynor, who travel to Sweden to visit a friend during his hometown's mid-summer festival. The trip isn't all sunshine and Swedish meatballs, though, as the couple's idyllic retreat devolves into blood sacrifices and bear guts at the hands of a cult of smiling Swedes. (Hail Paimon!) Will Poulter and The Good Place's William Jackson Harper also star. 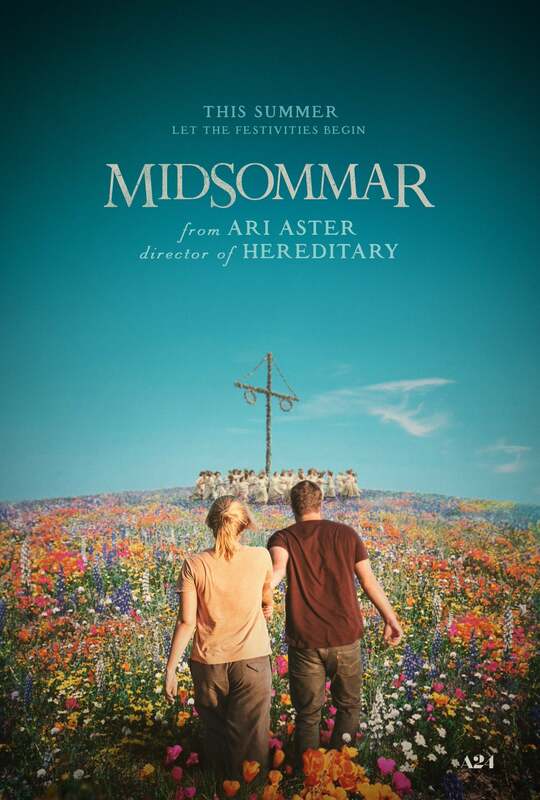 While Aster looked to classics like Rosemary's Baby and Don't Look Now for Hereditary, he's called Midsommar "Scandinavian folk horror." And in the same way his first film explored grief and trauma through the lens of horror, his sophomore feature is about a breakup -- and Pugh recently told ET it's not "as scary" as Hereditary. "I don't think it's about that. It's actually about a breakup. It's about a couple," she explained. "And that's something that Ari will say himself. So, I'm not giving any spoilers there, don't worry. But it's beautiful and it's grotty and it's gross and it's human and I think he's done something special." Midsommer arrives in theaters on Aug. 3.